BUT! It's never too soon to start dreaming of Fall? Well, speaking of Hobby Lobby, this post is bound to get you in the Fall spirit DIY style, AND it's that time of the year when most of the materials for this craft are 50% off in the Fall decor aisle! - choose which leaves you want to use. 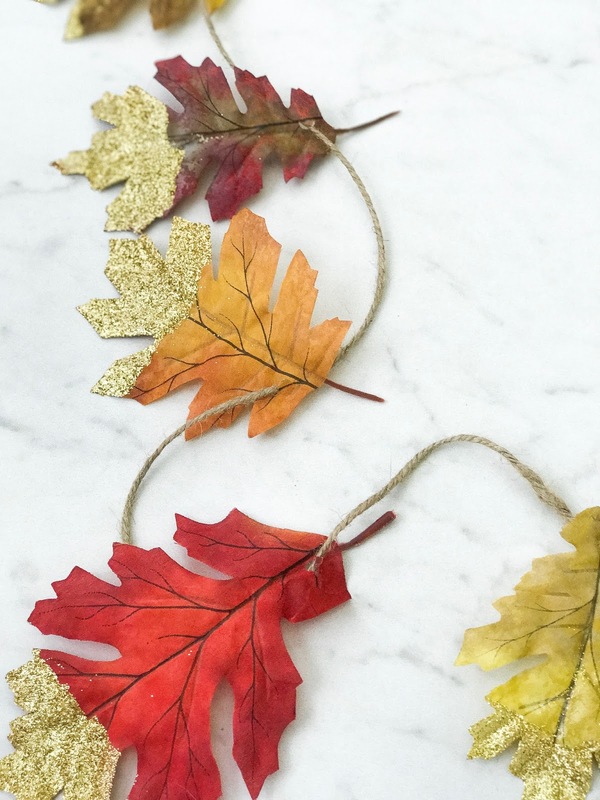 I plan to hang my leaf garland in my classroom and another one at home on my china cabinet. So depending on how long you want yours, start with at least 7 leaves and go from there. Don't cut your strand of string until the end! - hole punch each leaf where you prefer, I punched mine near the stem. - brush on the Mod Podge at the ends of a leaf and work your way up. Heck! 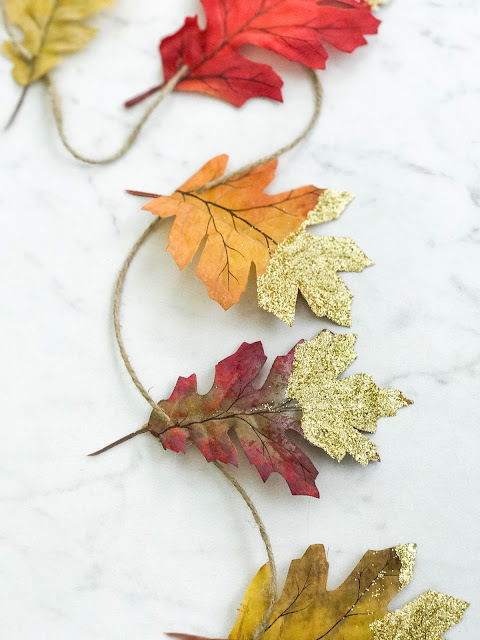 You could paint the whole leaf and glitter the whole thing if you wanted to! I went with doing a little over 1/3 of the leaf with glue. Honestly, I just painted one side of my leaves, but I might go back and do the other side of them later. - after the glue, add the glitter. I pretty much just sprinkled it on a leaf over a paper plate. I had another paper plate ready for the next leaf and just used the already sprinkled glitter leftovers and poured it on the next leaf over the other paper plate (if that makes sense?). I had a system going. 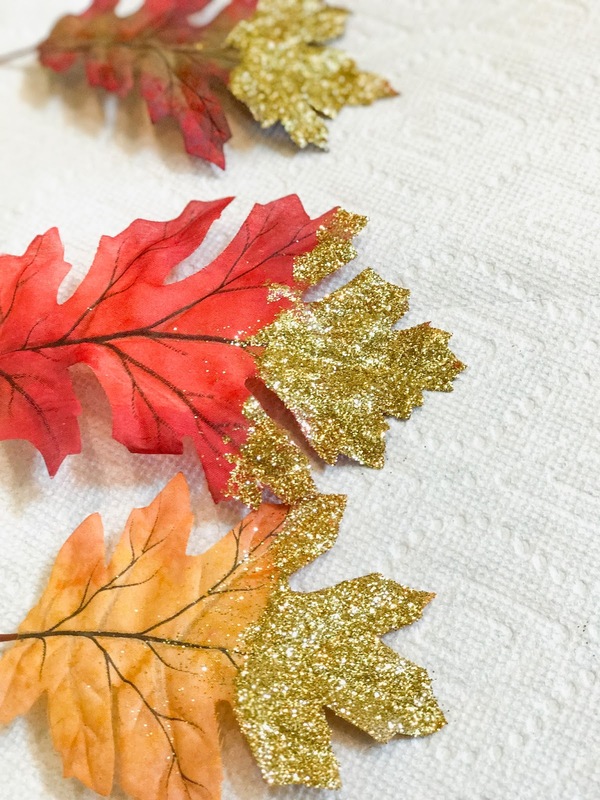 - each leaf, after glitter coating, was placed on a paper towel to dry. This didn't take long. - I then sprayed the adhesive glue over ONLY the glitter part of the leaves. If you spray the whole leaf, it will be sticky and a weird final texture! Trust me... ha! 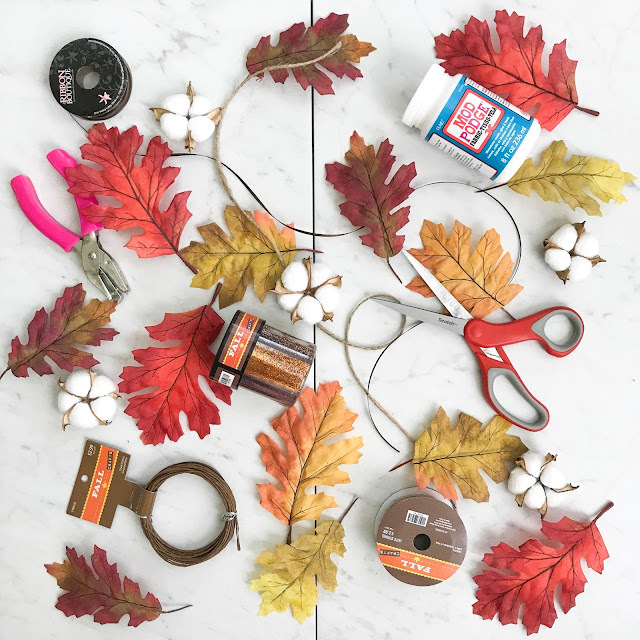 - after the adhesive has dried, I simply strung the leaves on some string, cut the string (enough left on each side to hang), and there you have it! How fun would this be for a craft & wine night with the girls? !